Tape drawing is the art of creating sketches on large scale upright surfaces using black photographic tape. 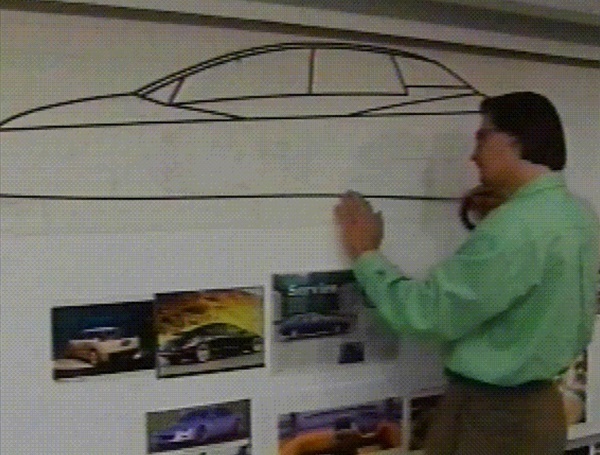 Typically used in the automotive industry, it is an important part of the automotive design process that is currently not computerized. We analyze and describe the unique aspects of tape drawing, and use this knowledge to design and implement a digital tape drawing system. Our system retains the fundamental interaction and visual affordances of the traditional media while leveraging the power of the digital media. Aside from the practical aspect of our work, the interaction techniques developed have interesting implications for current theories of human bimanual interaction.